Sri Lanka based Music Producer Iraj comes with a brand new single 'U n Me'. It is a complete package of various music genres - It contains the taste of Classical Indian Music, English Rap and Hindi Rap all together. Sri Lanka based Music Producer Iraj comes with a brand new single 'U n Me'. It is a complete package of various music genres - It contains the taste of Classical Indian Music, English Vocals and Hindi Rap all together. It is not a collaboration of two or three, It is a V. Big collaboration of 5 Big names Iraj, Sonu Kakkar, Sean Kingston, Bohemia and Janani. 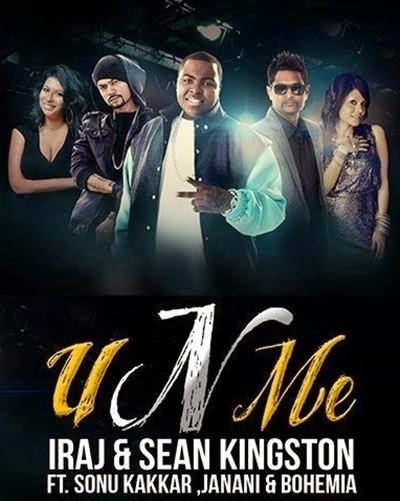 'U n Me' is multi-artist project produced by Iraj - A Sri Lankan maestro of hip-hop and the island’s new generation star. Vocals have been performed by Sonu Kakkar - A well known Bollywood singer who gained fame with 'Babuji Zara Dheere Chalo' in movie 'Dum'. Sean Kingston the Jamaican-American singer and songwriter has made the song able to become famous at International level. Bohemia - Father of Punjabi Rap has given his best with Hindi Rap Lyrics and yes we cannot ignore the part sung by Janani. Janani is a talented Alternative artist from Orlando, Florida best known for her emotional songwriting and soulful voice. Lyrics of the track are written by respective vocalists except the part sung by Sonu, which is written by Tony Kakkar.